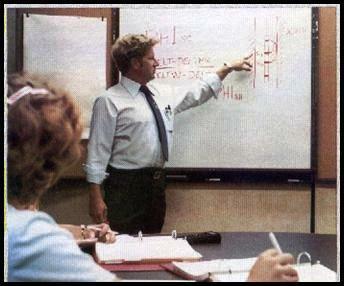 Mr Crain, author of several petrophysics courses on petrolessons, is a Professional Engineer with over 50 years of experience in reservoir description, petrophysical analysis, and management. He has been a specialist in the integration of well log analysis and petrophysics with geophysical, geological, engineering, and simulation phases of oil and gas exploration and exploitation, with widespread Canadian and Overseas experience. He has an Engineering degree from McGill University in Montreal and is a registered engineer in Alberta. 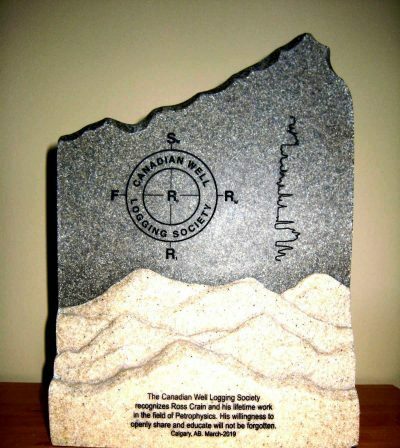 Recently, Mr. Crain was awarded the first and only Lifetime Achievement Award, by the Canadian Well Logging Society (CWLS) to honour his contribution to the geoscience community. 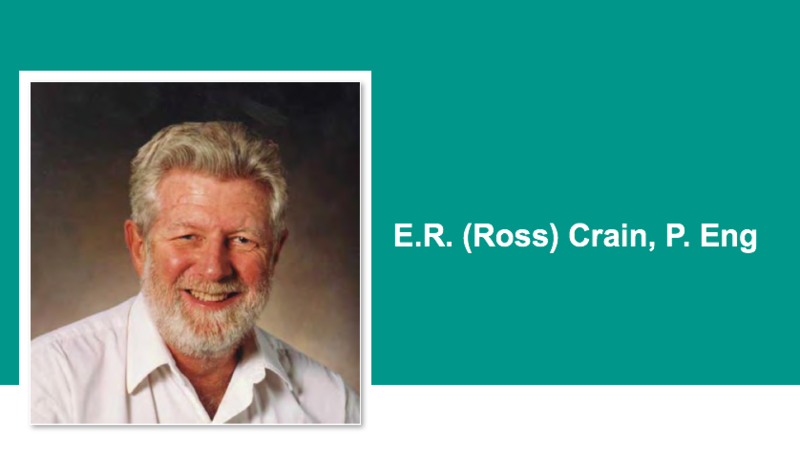 The inscription on the Award reads “The Canadian Well Logging Society recognizes Ross Crain and his lifetime work in the field of Petrophysics. His willingness to openly share and educate will not be forgotten”. Ross has received a number of other honours and awards over the years. The CWLS elected him an Honourary Member in 1994 for contributions to the Society. He received a Best Paper awaed from CWLS (1985) and CSEG (1981). 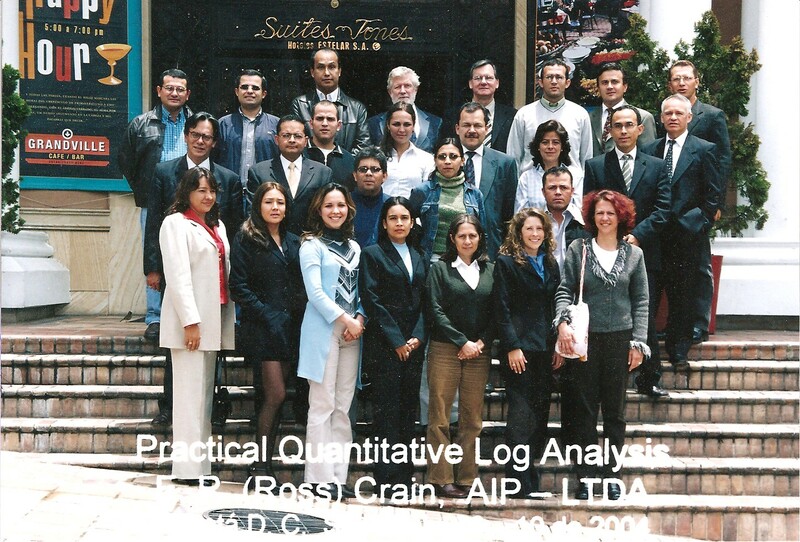 He wrote “The Log Analysis Handbook”, and he offers seminars, mentoring, or petrophysical consulting to oil companies, government agencies, and to consulting service companies around the world. Projects have spanned conventional and unconventional reservoirs in more than 40 countries. 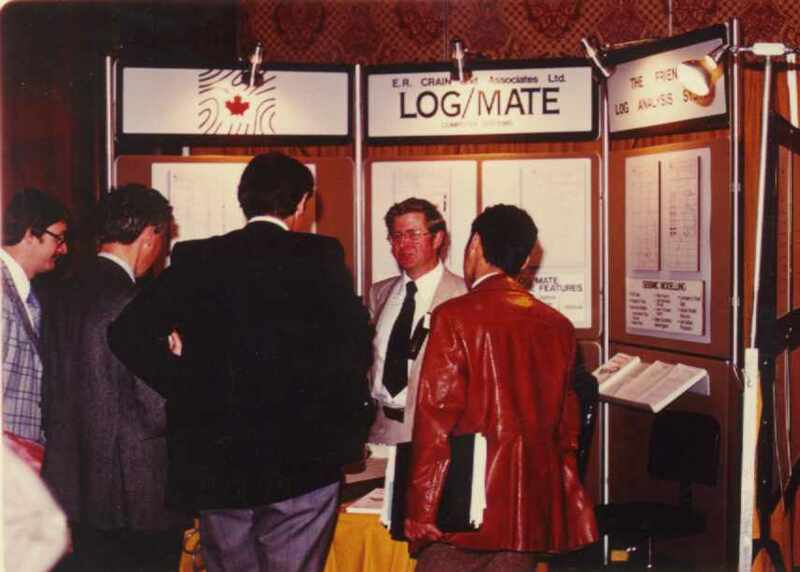 Ross is credited with the invention of the first desktop log analysis system (LOG/MATE) in 1976, 5 years before IBM invented the PC. 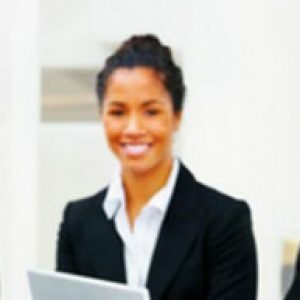 He continues to advise and train people on software design, implementation, and training. For his consulting practice, he uses his own proprietary software (META/LOG), and is familiar with most commercial systems. He has won Best Paper Awards from CWLS and CSEG and has authored more than 30 technical papers. Mr Crain was installed as an Honorary Member of the Canadian Well Logging Society for his contributions to the science of well log analysis. Ross’s current interest is development of practical solutions for petrophysical analysis of all forms of unconventional reservoirs, determination of accurate mechanical properties of rocks for stimulation design, mentoring of both novices and experienced petrophysicists. Check out Ross Crain Training Courses on Petrolessons.